Here is what you previously selected during your last visit, so you can easily pick up where you left off. We pick up, store, and deliver your stuff — for less than what Chicago self-storage companies charge. Some days, you really wish you lived in one of The Loop’s famed skyscrapers. You wouldn’t just have a killer view — you’d finally have a ton of space to store all your extra stuff. Sadly, you can’t afford the rental fees at Willis Tower, and your self-storage choices aren’t much better. There’s another option, and it starts with a call to MakeSpace. Give us the specs and we’ll come over to your apartment. Once we’re there, we’ll load up all your things ourselves and transport them over to our secure, temperature-controlled facility. Later, we’ll create an online photo catalog of everything, so you always know what’s there. The second you need something back, just let us know. We’ll bring it right over to you. With MakeSpace, you have more money and time to do the things you enjoy, whether that’s staring up at tall buildings or sampling excellent Italian food at Rosebud. Unlike self-storage, you only pay for the space you use. Not sure which plan to pick? Our easy-to-use storage calculator will help you find the right plan. Speak to a storage expert and they can help find the right space to fit your needs. 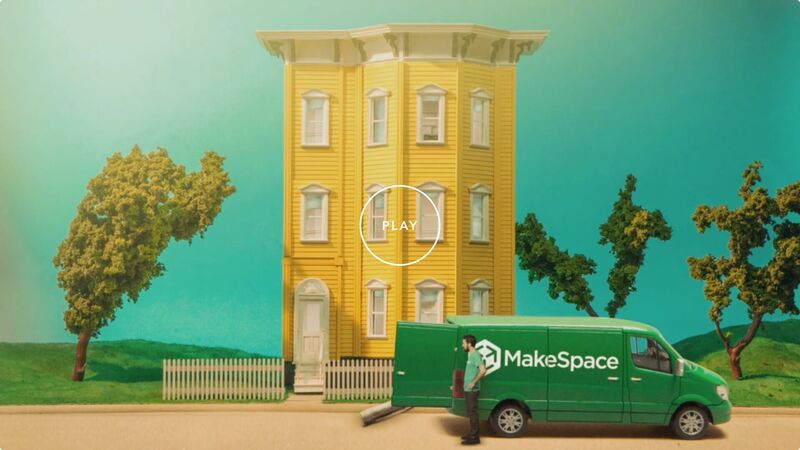 MakeSpace® is a registered trademark of MakeSpace, LLC.